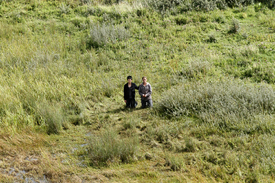 Bruno Dumont's latest film Hors Satan is beautifully shot in a protected area on the coast of Northern France, where the director has been living most of his life. Hors Satan engages in a unique way with the landscape to emphasize the inner life of the film’s characters, a world of sand dunes, woods and marshes. Bruno Dumont (born 1958, Bailleul, France) is a French film director. To date, he has directed six feature films, all of which border somewhere between realistic drama and the avant-garde. 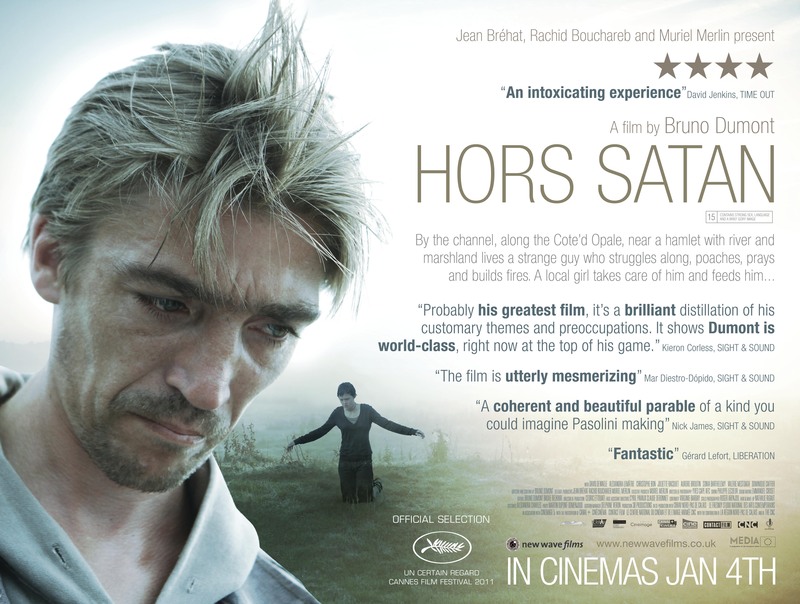 L'Humanite and Flandres won the Grand Prix at the Cannes Film Festival. Dumont has a background of Greek and philosophy. “It could be the anti-hero who is supposed to be ‘outside Satan’ in Bruno Dumont’s latest film or it could be the remote, islanded world he inhabits…It is perhaps safer to say that he is outside both God and Satan…As ever, the visionary, radioactive glow is compelling…It’s a world in which grim brutality and glorious beauty can co-exist. “Bruno Dumont always makes original, intense, at the same time, provocative movies. Beautifully shot, capturing the landscape magnificently, by Yves Cape, Dumont forces the viewer to watch a different reality, mixing the disturbing and the beatification - it is at once fascinating in its sincerity and disquieting in its frankness, and it's hard not to admire the film's poetic honesty. "It’s not just a movie: it’s a cinematically motivated act of faith"
"Dumont remains one of Europe's most divisive and challenging directors, with Hors Satan a prime example of his provocative, yet taxing minimal style." 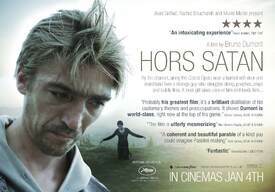 David Dewaele, Hors Satan's main actor, has unfortunately died in February 2013, aged 37. 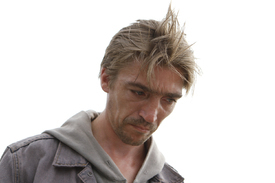 He had a role in another Bruno Dumont film distributed by New Wave, Hadewijch. An obituary was published in Liberation (French). For those interested, we have translated it into English. Click here to read it.